For security and privacy reasons, we do not take payments through this website and don't accept credit cards over the phone. Please note that you are responsible for any transaction fees associated with making your purchase. Fees for the respective options as described below and on the websites of the transaction providers. Process: The webpage How Escrow.com Works provides a good description of the Escrow.com process. Once the transaction is initiated (either by clicking a 'Buy Now' button on this site or by manually starting one), you will need to make payment. Service levels: Escrow.com offers two levels of service - Standard and Concierge. You will need to choose which one you want to use. The main differences have to do with which payment methods are accepted and what fee they charge. Concierge level supports more payment options, but costs more. 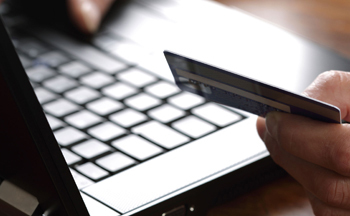 Payment methods: Escrow.com accepts most payment methods, such as wire transfers, credit cards, Paypal, checks, etc. The options vary based on the service level you choose. Details can be found here and here. 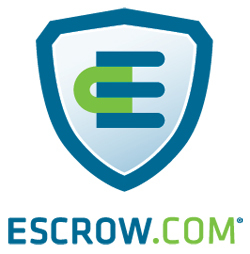 We should note that because they are in the business of transaction security, Escrow.com can be sticklers about your payment method. Fees: Buyer will be responsible for all Escrow.com fees. Escrow.com fees vary between 3.25% (Standard) and 6.30% (Concierge) of transaction value. There is a $10.00 minimum fee. Please use their fee calculator to calculate your fees. Since Escrow.com fees change from time to time, please do not rely on the fee information provided here -- please visit Escrow.com's website for the latest information. * In case you are unfamiliar with what an escrow agent does, their job is to ensure that both parties to a transaction meet their obligations. For you as the Buyer, that means they confirm that you receive your domain name in exchange for funds paid. For us as the Seller, they ensure that we get paid (but only after you've received your domain name). Paypal is a good option for many Buyers because it is often cheaper than Escrow.com and many people already have accounts there. We are happy to use Paypal for any transaction. It is a very simple and quick way to make payment. - For payments from US-based Paypal accounts, we add 3.25% to purchase price to cover fees. 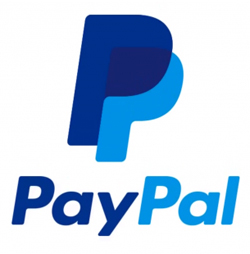 - For payments from international (non-US) Paypal accounts, we add 4.75% to purchase price to cover Paypal fees. You can also pay us directly using a check or wire transfer denominated in US dollars. Process: We'll provide you with our bank details, then you can send us the funds. Once funds are confirmed in our account, we'll move ahead with the domain name transfer. Payment methods: Check or wire transfer.